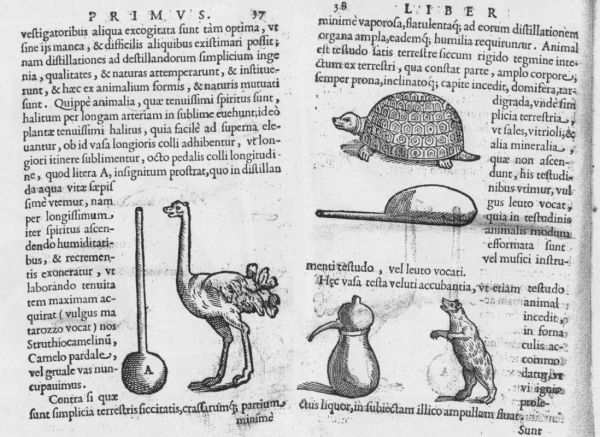 Following upon the discussion on symbolic and physical alchemy where we saw various emblems being linked to physical laboratory apparatus, there is a well known book by Giambattista della Porta, De distillatione lib. 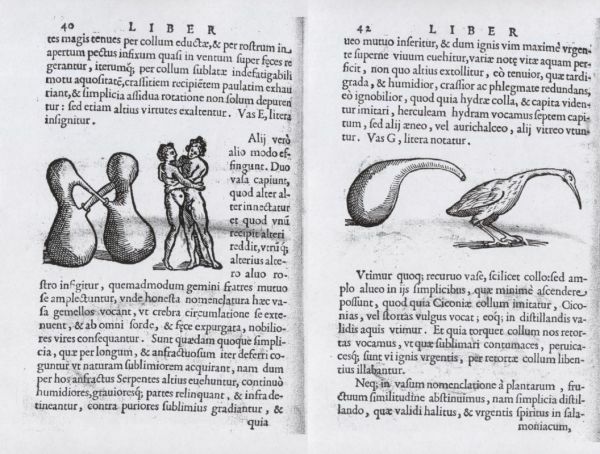 IX., printed in 1608, which has a series of woodcuts paralleling emblematic animals with chemical apparatus. The chapter in which these occur is quite short and if and when I have time I will try and work up a rough translation of the Latin text. 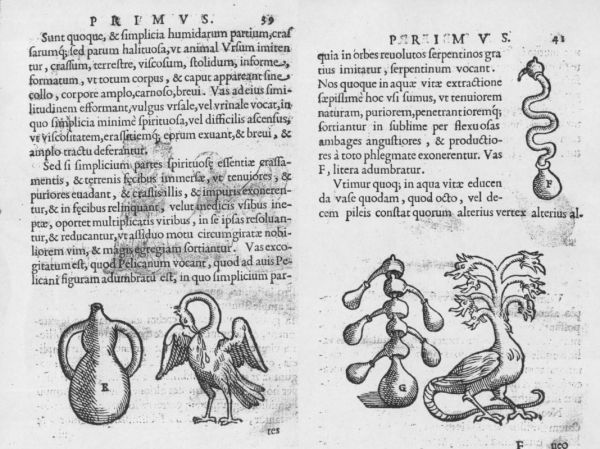 Here a pair of lovers are associated with the double pelican, and a stork with a beaked flask. Here is the single pelican, a serpent or coiled long neck distillation flask and a multi-headed winged dragon for a fractional distillation setup.